Thanks so much to Scotty for my Custom Smik Hipster Twin. It came out sweet. 'Not affiliated with the brand'. Scotty's patience and assistance during the design phase needs to be recognized. 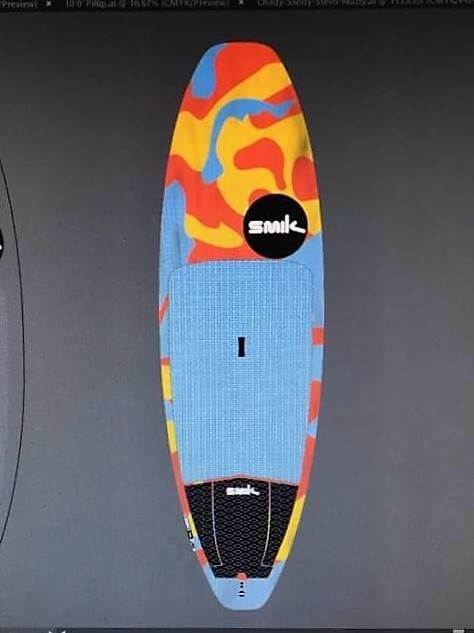 I wanted a blue camo pattern and Scotty just came up with this awesome design after a few goes. 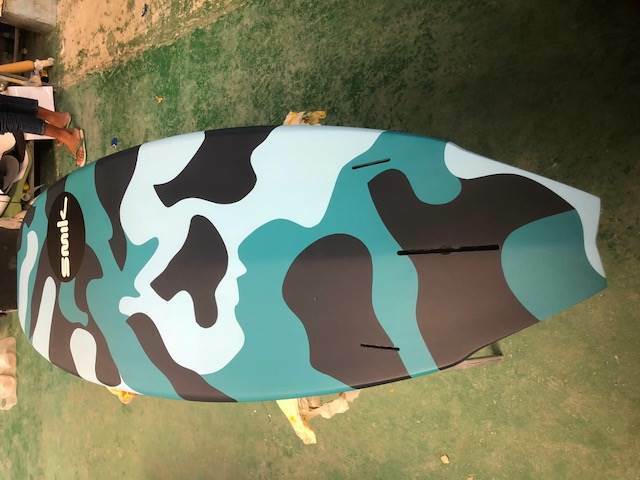 Board Details - 7'7", 28" wide at 93 litres. I wanted something that was stable in all conditions and I reckon Scotty nailed it. I want one. I emailed Scott about one of these the other day . Looks badass! 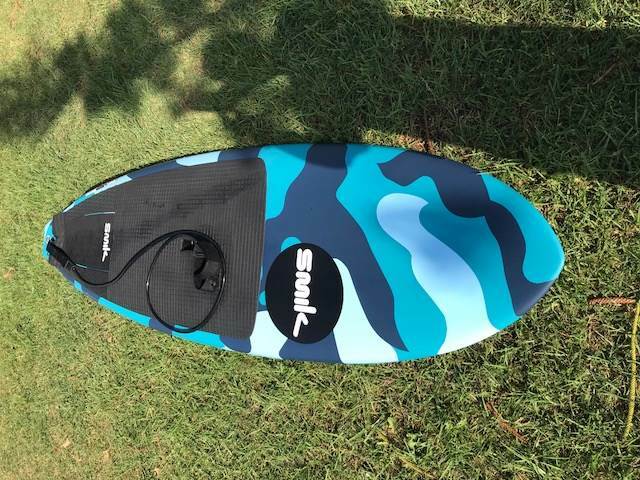 I always wanted a camo board too. Looks like a tonne of vee in these? Solid 2/5 of the boaRd long? Bit of an optical illusion there Benjl. man, i'd love to get that hipster twin in the 8'0 size to replace my slowly dying Hypernut. love that tapered tail. but no USA dealers...boo! Saw the pic on instagram. Looks awesome! Let us know how you get on with it! After many conversations with Scotty who was extremely patient with a 70 year olde fahrte I have placed an order. Rumor has it he is delivering some boards to the states after the ice has melted! Can't wait to get my hands on this bad boy! Official geezer froth warning has been issued! Finally had a chance to get the beast wet over the weekend and can now share my thoughts, well stoke actually. The Smik Hipster Twin has definitely lived up to the hype. 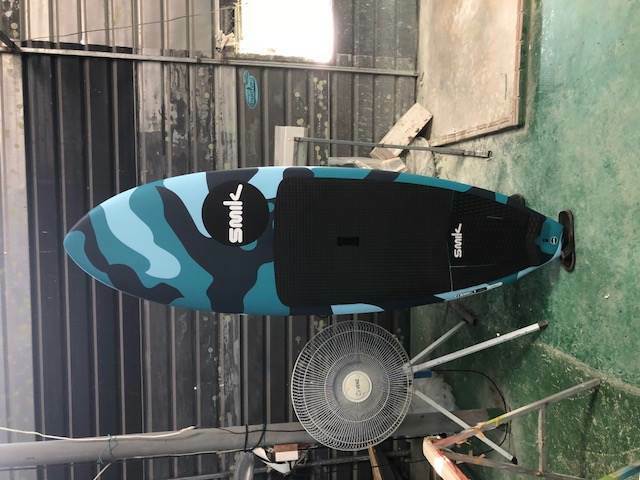 This board is stable for its size (7'7" long at 28" wide at 93 litres), glides really well, accelerates fast and is really manoeuvrable. Moreover, the build quality and overall finish of the product is exceptional. If I had to morph 2 boards in to one that I have owned, then it would be the 7'6" JP Pro and 7'2" JP Slate. It takes the best of both of these boards and just mashes them into one, in my opinion. It surfs as good if not a little better when compared to the 7'6" JP Pro and has the glide, acceleration and stability of the Slate. P.S. the graphics on this board are killer and the colours really pop in the sun. I had at least 2 comments regarding the design before I even got it into the water!!! Great to hear that it works as good as it looks. Am going to torment a JP buddy with your observations! Hi get in touch with Scotty through the Smik website or PM him on face book. He responds pretty quickly usually. Very responsive. I used messenger on FB. No worries. Once we sussed out the time differences!